cooler is for the people who love TV. 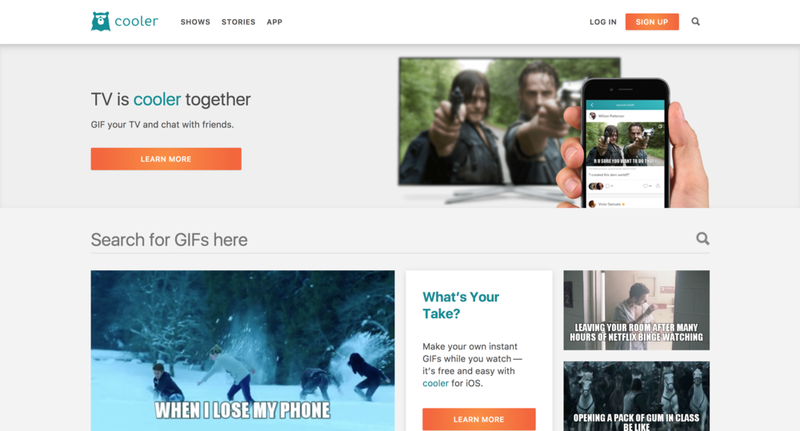 Instantly create and share GIFS from your favorite shows and see friends' reactions, all live as you watch! cooler syncs up "Shazam's Style" with you TV, laptop or tablet to determing what you're watching and precisely knows where you are in the show. You can capture the moment and Create an instant GIF of that moment and share it with your community, friends and Social media.